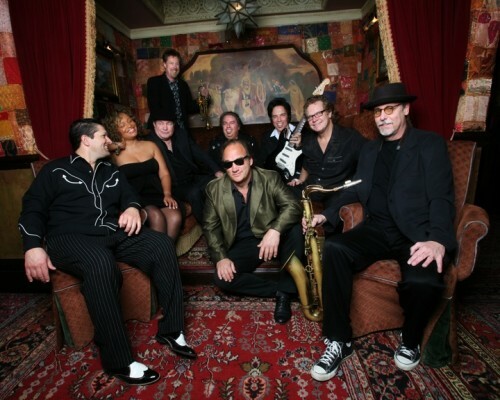 DENVER, April 23, 2015 /PRNewswire-USNewswire/ — The American Indian College Fund (the College Fund) has signed Jim Belushi and The Sacred Hearts to perform live at its 25th Anniversary Gala, to be held Friday, May 8 from 6:30-10:30 p.m. at the legendary Drake Hotel. The formal fundraising event will benefit Native American higher education and celebrate the College Fund’s mission to provide access to higher education for all Native people. VIP ticket-holders will enjoy a special reception and the opportunity to meet Jim Belushi. A silent auction featuring Native art and unique items will also be held at the event. In addition, the College Fund will be accepting bids for a guest to perform the song “Soul Man” with Jim Belushi and The Sacred Hearts that evening. All VIP packages, tickets, individual tickets, tables, and sponsorships are available for purchase now. Visit collegefund.org/gala to learn more or call 303-426-8900. 25th Anniversary event sponsors include Toyota Motor Sales USA, Inc.; Comcast NBCUNIVERSAL; Wieden+Kennedy; Ford Foundation; San Manuel Band of Mission Indians; The Walt Disney Company; AT&T; and McDonald’s Corporation.